At IISM, we firmly believe in constantly evolving & adapting to the ecosystem needs. 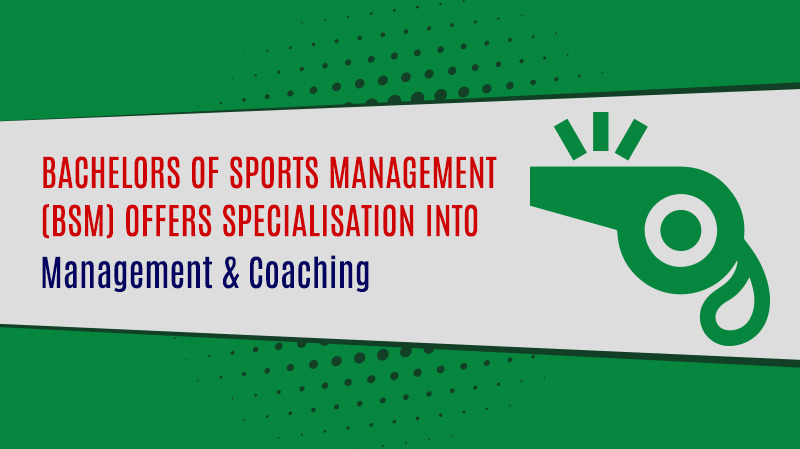 We are extremely proud to announce that our undergraduate program offering- Bachelors Of Sports Management (BSM) now comes with specialisation. The course now comes in two-fold prepping young sports enthusiasts for the industry just the way it should. While the specialization into the Management let’s them embrace the study of management for issues related to the administrative tasks, planning, organizing, managing and operating for various types of sporting ventures; specialisation into the coaching establishes a foundational base for them to be well-equipped with everything that goes on the field- right from technology to nutrition, anatomy-physiology to direction. We are ecstatic to embark upon this wonderful journey of building the next-generation sports management heroes. Know more about BSM Course, here.